Kuopio is a city and a municipality located in the region of Northern Savonia, Finland. Get out of town with these interesting Kuopio side-trips: Orinoro Gorge (in Leppavirta) and New Valamo Monastery (in Heinavesi). 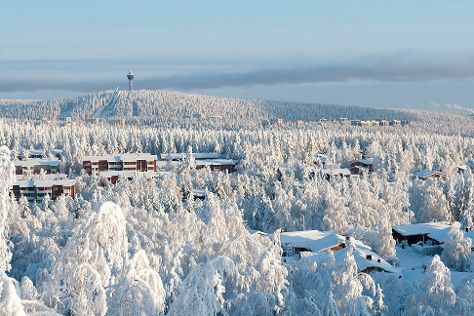 There's still lots to do: enjoy breathtaking views from Puijo Tower, ponder the world of politics at Kuopio Market City Hall, see the interesting displays at Kuopion Korttelimuseo, and test your team's savvy at popular escape rooms. To see traveler tips, other places to visit, maps, and other tourist information, read our Kuopio road trip planning tool . In August, daily temperatures in Kuopio can reach 22°C, while at night they dip to 14°C. Finish your sightseeing early on the 31st (Sat) to allow enough time to travel back home.